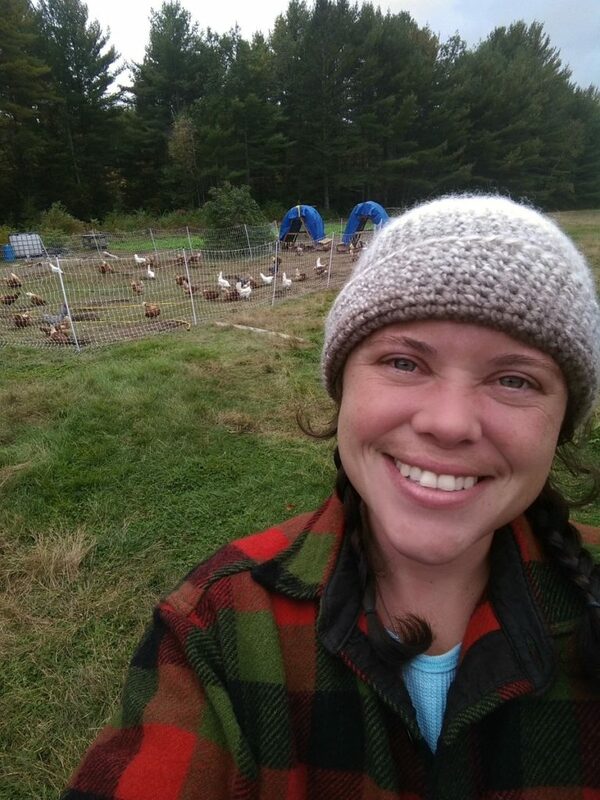 From her upbringing in rural Maine, homesteading has always been a way of life for Samantha Burns. After having kids of her own, she started thinking out how she could use her skills to best protect the planet that she loves. Burns developed a passion for pollinators. Now, her apiary is also a demonstration farm to show others how to practice bee-friendly habits on their own farms or homesteads. Burns chronicles her adventures on the Runamuk Acres Farm & Apiary blog. She chats with us about for our Behind the Homestead Blog series about seizing market opportunities, keeping bees alive in the Maine winter and what she plans to do with her new sheep. Hello Homestead: Tell me about your background. What did you do before you started homesteading? Samantha Burns: Homesteading has always been a part of my life in one form or another. In this rural part of Maine where I was born and raised, homesteading has always been a way of life. I have fond memories of days spent under the summer sun, picking blackberries and then turning those berries into jam with my mother. My grandfather introduced me to gardening when I was 16, and my mother in-law taught me how to preserve the harvest by canning and freezing the fruits and vegetables. When I had my first child at 23, I began using those skills more and more, expanding upon my knowledge-base and growing increasingly self-sufficient as the years have gone by. SB: It was my love for nature that really inspired me to take up homesteading in earnest. Because of this deep love for the Earth, I am compelled to protect it. One of the best ways to do that was to start with myself and my own household: recycling, repurposing, composting, baking and cooking from scratch, growing your own food. As I fell deeper and deeper into sustainable living, the focus of my blog gradually shifted. In 2010, I created Runamuk with the intention of cultivating an income for myself, and that is when my blog became more centered on agriculture and sustainability. For me, writing is a compulsion. It’s how I best express myself, and how I share my passion for this life I am living. HH: Why did you decide to focus on pollinators on your homestead? SB: When I decided that I would use my homesteading skills to earn an income for myself, I studied the market in my region very carefully to see what other farms were doing and what they were not. In my researching I noticed a gap: very few farms were doing honey, and typically only as a sideline endeavor. I decided to seize that opportunity for Runamuk. Once I began working with bees in earnest, I realized how pivotal the relationship between pollinators and the natural world really is. Suddenly, I saw how I could have the greatest impact on the world around me: by focusing on pollinators I could protect every link in the ecological community, and by using Runamuk to demonstrate those methods. HH: What are the challenges of running an apiary in Maine? SB: Hands down, winter is the biggest challenge that beekeepers in Maine face. Cold and snow, bees can deal with ─ they cluster together around the queen and revolve around her, shivering their muscles to generate heat. But parasites and extreme weather conditions take modern-day beekeeping to a new level, making it a challenge to overwinter honeybee colonies successfully. Varroa mites are a problem for nearly all beekeepers today, but in Maine, where our winters leave bees incarcerated for months on end, managing mite infestations within the hives is crucial to keeping hives healthy enough to withstand the long, cold months. I’ve learned to always be managing my hives with an eye toward winter. As beekeeper, my actions need to ensure that I’m always giving each colony it’s best chance for survival. HH: What steps do you take to make the entire ecosystem friendly to pollinators? SB: At Runamuk, there are 4 major things we do to make our farm’s ecosystem more friendly for bees, pollinators, and other beneficial insects. 1. Avoid the use of pesticides. These chemicals kill both good and bad bugs indiscriminately. 2. Mindful mowing practices. We try to keep mowing to a minimum. When we do mow, it’s done later in the day, after 4 pm, when most pollinating insects have gone home for the night. 3. A “let it be” mentality. We’ve adopted this habit of leaving some areas of our farm to grow wild, or leaving dead tree snags where they are not a hazard, to create habitat for beneficial insects and other wildlife. 4. Plant flowers and herbs in abundance─even in the vegetable gardens. Providing food and forage for beneficial insects helps them to be able to proliferate. HH: How do you make a living on your homestead? 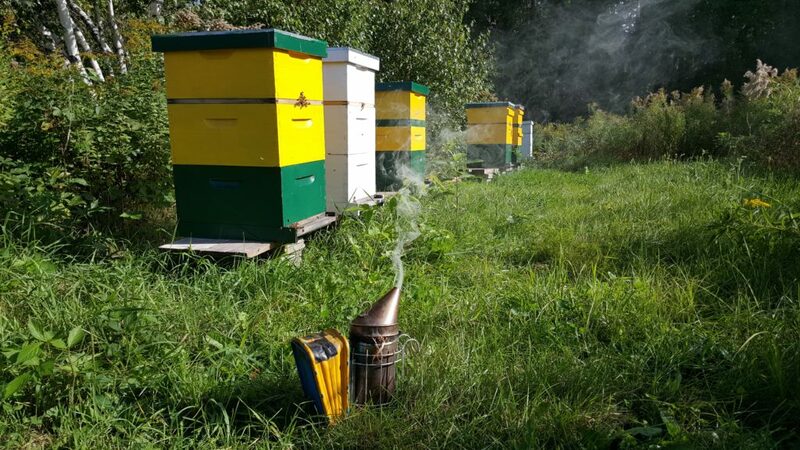 SB: The apiary is my main focus at Runamuk, producing raw honey and value-added beeswax products like soap and herbal salves, but I also sell uncertified-organic, non-GMO eggs, vegetables and bee-friendly seedlings. I sell my products direct from the farm, wholesale to local retailers. I make a little money from my writing on the Runamuk blog, and I supplement my income year-round with a part-time job in the call center at Johnny’s Selected Seeds. HH: When did you decide to make Runamuk a demonstration farm? SB: I wasn’t far into my farm-journey, when I first discovered the Xerces Society, a non-profit organization that protects wildlife through conservation of invertebrates and their habitats. When Eric Mader, director of the Pollinator Program at the Xerces Society came to Maine to present at [the Maine Organic Farmers and Growers Association] in Unity, Maine, I eagerly signed up for the Pollinator Conservation Short-Course. It was then that I realized I could use Runamuk as a vehicle for demonstrating these bee-friendly practices on a working farm. I knew that if I ever had any hope of influencing someone to take up these methods of conservation agriculture, I would need to prove to them that it could really work by modeling it first. HH: What is it like to run a demonstration farm on top of your other homesteading responsibilities? SB: It’s a lot of pressure, no doubt about that. There’s a never-ending to-do list, and as a single mom, I often feel like I’m perpetually juggling my responsibilities as farmer and mother ─ trying to find a balance. Ultimately though, this is the work I feel called to do, and it is my hope that my sons will have this legacy of wildlife conservation that they can one day be proud of. SB: I am really in love with rotational grazing at the moment, and building the soil using a combination of livestock management and cover-cropping. I invested in electric net fencing and a couple of solar chargers, which allows me to move my flock of 70 layers across the pasture with relative ease. I’ve discovered a really enjoy working the land this way. This fall Runamuk was gifted a pair of breeding-age Romney sheep, which I’m super excited to be able to incorporate into my pasture-management schemes. Queen-rearing in the apiary is pretty exciting, too. 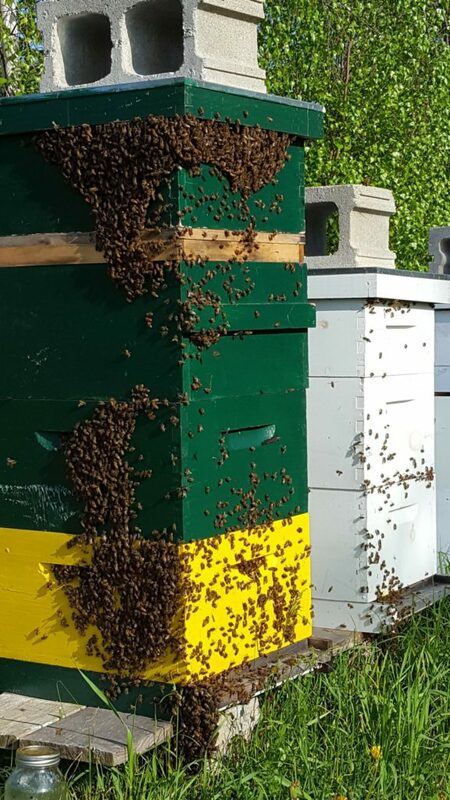 Being able to produce my own queens allows me to replace annual hive losses with my own nucleus colonies, saves me a boat load of money and enables me to grow my apiary faster and more sustainably. It turns out there’s a need for locally-raised queens, too; since word got out that I’m producing Maine-raised queens, beekeepers have been knocking on my door looking to buy them. SB: It is my hope that the Runamuk homestead will continue to grow increasingly self-sufficient. I hope to produce the bulk of our household’s foods, reduce inputs from the outside, create less waste and provide my household’s income, eliminating the need for outside employment. I also aspire to see Runamuk grow into the Northeast’s renown pollinator conservation center. I hope to show the public that, through conservation-agriculture, it is entirely possible to provide an ecological and financial benefit to the entire ecosystem and the people who depend upon it. And I hope that for all my efforts, I can leave behind a legacy of wildlife conservation that my children will someday be proud of. That is my ultimate hope.